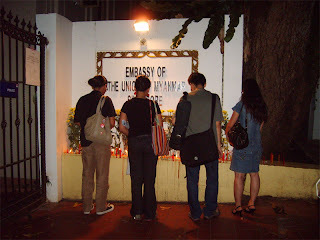 Singapore - 14 days since the cyclone, and about one hundred Burmese in Singapore turned up to St. Martin's Drive on Saturday evening to hold a candlelight vigil outside the door of the Burmese Embassy in memory of the victims of killer cyclone which took away more than 100,000 lives. About twenty plain cloths police officer blocked the road access and told that "assembling more than four persons will be an offence and consider outdoor illegal assembly" "You need to get permission from Singaporean police to hold outdoor assemblies! I advice you all to leave right now" police officer said. A few of them crying out and emotionally told police officer "we just want to pray for the victims and allow their spirits to peacefully crossover according to our Buddhism believed". Burmese people still doesn't want to leave without prayer despite the officer’s order to leave. 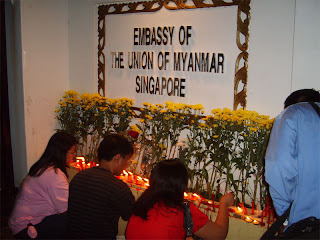 Myo Myint Maung, one prominent Myanmar student and pro-democracy activist in Singapore said "We have come to the Burmese embassy to do our commemoration service because the Burmese embassy is part of the land of Burma in Singapore and Burma is where we all belongs. So we have our sense of belonging at this embassy and no where else in this island." After controversy an hour later Myo Myint Maung successfully negotiate with the police officer who allowed four person per group to walk to the embassy from the entrance of St. Martin's Drive which is more than one hundred meters away whilst the rest of the large group of Burmese still have to wait to take their turn to walk and pray at the dedicated praying spot. That was a long queue waiting, holding flowers and candles in their hands. After that the police allowed them to go four persons per group, most of Burmese politely gave thanks to the police officer and peacefully departed from St. Martin's Drive at 9.00p.m. According to The Straits Time newspaper closed to 100,000 Burmese are working and studying in Singapore. btw, why is his name opposite eye? if he loved burma so much what's he doing in russia? why isn't he in burma standing tall and proud next to than shwe and ready to take on the world and sacrifice himself for his papa. it seems this idiot is all talk and no action. if he really believes in all the bullsh** he writes on his blog than why doesn't he be a man and show his face, post a picture of himself in his burmese army uniform. 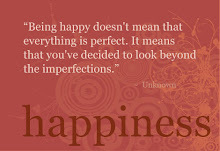 well, we all know that aint gonna happen ... coz u see he's from the burmese army. Brainless, brainwashed and uneducated coward. Its ok opposite eye or cross eyed, whatever you are, you can go on and keep hurting innocent children, make our elders starve to death and proudly lend a hand in beating up those we have worshipped all our lives, you are the burmese army, that's your way of showing courage for your country. Welldone coward.